Volunteers are the backbone of a strong and successful school and it’s PTO. Fox Meadow is fortunate to have many dedicated parent volunteers! There are numerous opportunities and always a need for additional help. 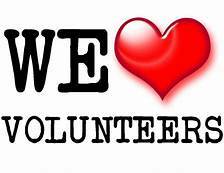 The best way for you to get to know the school, other families and the teachers is through volunteering. Our goal is for every parent to sign-up to help with at least one activity, fundraiser, event or position. You choose what fits your schedule and your interest! Volunteer opportunities vary from being a board member, chairing a committee, helping assists with planning a event, doing at home prep-work for events, helping set up, helping clean up, supervision/direct support of a event activity, making copies & distributing them to classrooms, distribution of merchandise, box top preparations, keeping the website up to date, making flyers, researching & apply for grants/sponsorship, seeking donations from local & corporate companies, bulletin board upkeep (ALL of them in the lobby are ours), running errands for donation pick ups or supplies- the possibles are end less but the help is not. ♦ Help identifying and applying for potential grants, sponsorship, or in-kind donations to aid fundraising efforts for Project Playground.